In my previous post (Building the FSR Circuit Boards) I showed how we assembly our circuit boards, using a manual pick and place machine that I designed and built. You can also find videos on that post. 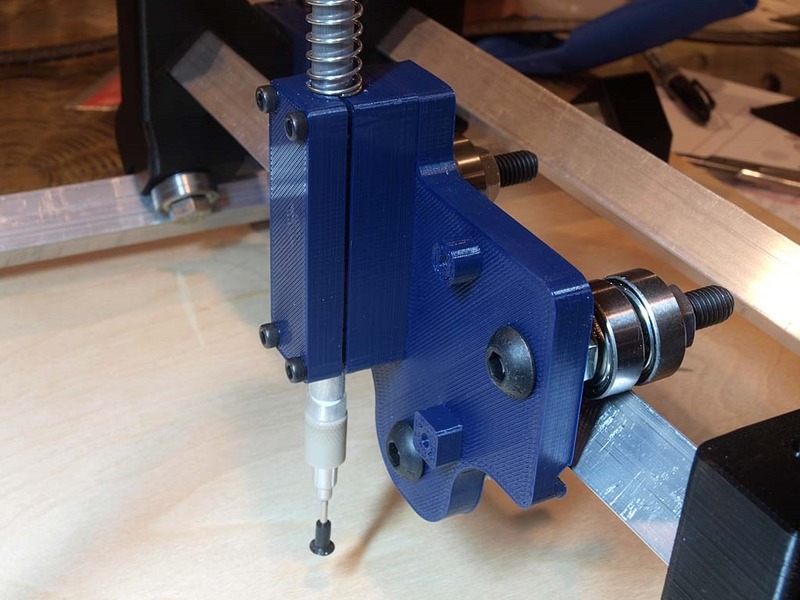 In this post I’ll walk through building the machine. Modifying the pump only take a few minutes. Start by printing four of the Y Post parts, and then cut two pieces of aluminum tube about 18 inches long. You can make them longer, but I wouldn't go much shorter. A length of 18 inches will give you about 11 inches of movement along the X (left/right). Next cut two pieces of aluminum tube about 12 inches long (or longer). Using 12 inches will allow movement of about 7 inches along Y. 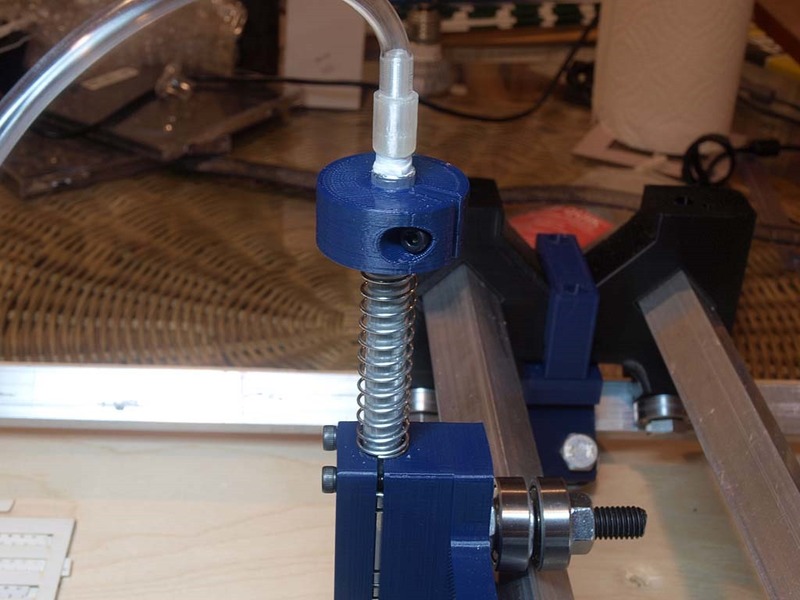 Print two sets of Y Carriage, Bottom Rollers, and Bottom Roller Clamp parts. 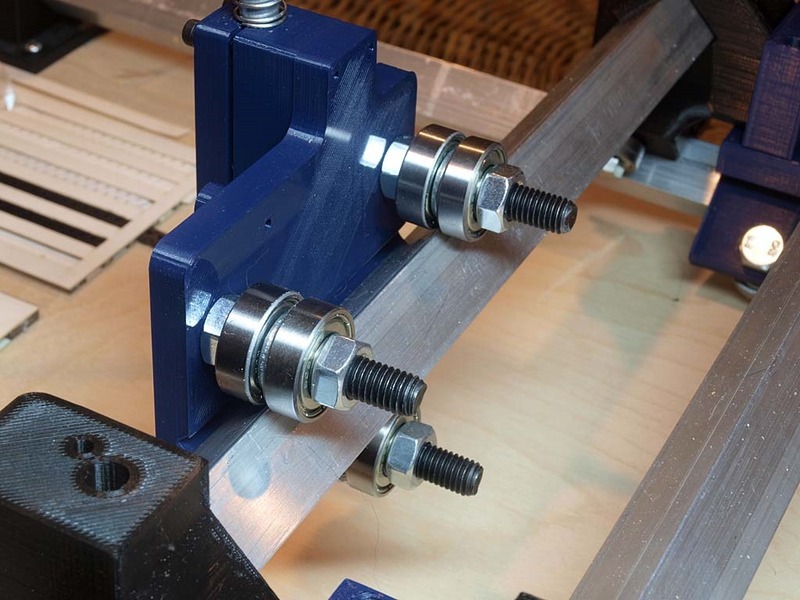 Use the M8 x 30 bolts and washers to mount the 608 bearings to the Y Carriage. The washers go between the bearings and the part, and the M8 bolts are self-threading. Add the 608 bearings, washers, and bolts to the Bottom Rollers parts. 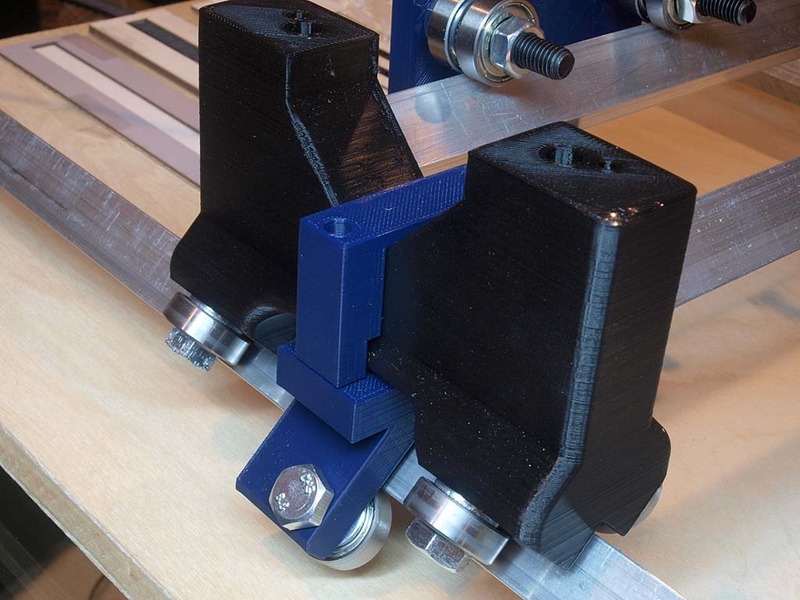 The bottom roller clamps don’t need to be really tight. They’re to keep the top rollers in place when you lean your hand on the carriage. Now insert the two Y tubes into the holes of the Y Carriage and then mount to a piece of plywood. It's best to screw down one side first, with the screws centered in the slots so you have some room for adjustment. Then attach the other side, ensuring the assembly moves smoothly from left to right. 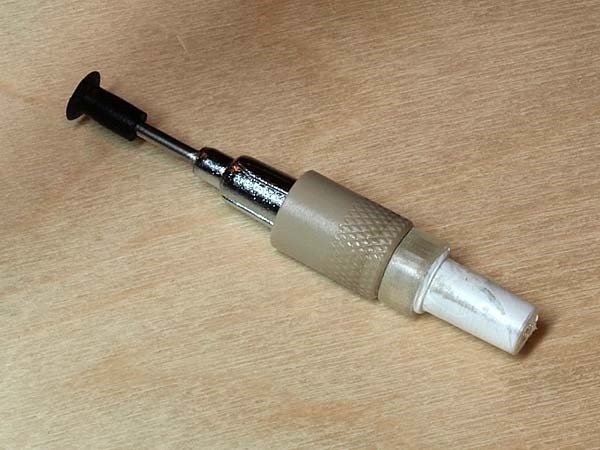 Print the Pen Holder and LM8 Cap parts. The 8mm aluminum tube slides through two LM8UU bearings. The tube will need to slide up and down smoothly, as well as rotate. I found I needed to sand the tube down a little to get just the right fit. Do this slowly, testing the fit frequently. Insert the 8mm tube into the two LM8UU bearings, and then clamp them in place using the LM8 Cap part, held in place by four M3 x 12 screws. At this point you’ll still be able to remove the tube. Add another 608 bearing to each bolt, followed by an M8 nut. Hand tighten each of the three nuts evenly, ensuring that the assembly slides smoothly without any slop. And the parts you’ll need to mount this microscope are Camera Cap Top and Camera Cap. Awesome! I built a similar manual pick and place based on your design. I was curious about your component trays. Are they 3D printed as well? Just a note of thanks for making this design available on the 'Net. I'm in the process of printing the parts. Had a lot of trouble with Y-Carriage part catching on extruder due to warping at base. Eventually inverted the model and it printed with no problems. I'll update when I have it all working. Could you please tell me if the 3D files you printed (.stl) are in inches or in mm?